Turkey’s National Police Department announced late on Monday that it has suspended 12,000 more police officers, including many police chiefs, across 81 provinces over alleged ties to the Gülen movement. The Interior Ministry launched a new investigation to ferret out alleged members of the movement within the police, Turkish media reported. As part of the extensive probe, the ministry decided to suspend 12,000 police officers, bringing the total number of police purged since a July 15 abortive coup to more than 20,000. 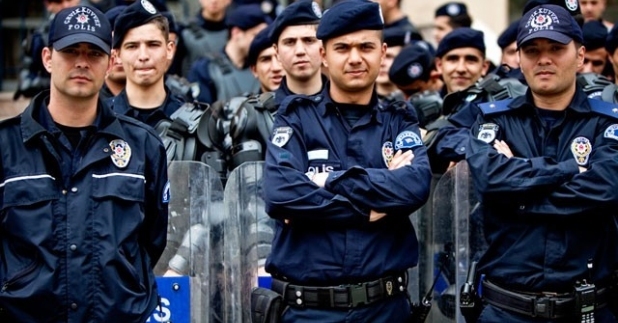 In Ankara the fate of 1,350 police officers, in İzmir 570, Diyarbakır 650 and in Hakkari 350 police officers will be determined after a thorough investigation, the Habertürk daily reported. Whether they will remain on the police force or will be dismissed depends on the outcome of a commission report, the daily said.